And you have to take care of your distributors and customers. With Nerium, time will tell, but their track record isn’t looking good so far. Nerium International is an American based MLM company founded in 2011. It specializes in an assortment of anti-aging skincare products. By 2012, they were ranked the #86 MLM out of 100 by Direct Selling News and did over $100 million in revenue. One year later, their ranking moved up to #54 and they did over $200 million in sales. 2. What are Nerium’s most popular products? Nerium’s flagship product is NeriumAD, which has powerful antioxidant properties that help reduce the appearance of aging. Another popular product is their Firming Body Contour Cream. The contour cream contains NAE-8 (extracts from the Nerium oleander) and moisturizes while improving the appearance of cellulite an dimpled skin. 4. Is Nerium a scam? Nerium is a legitimate business, selling real skincare and wellness products. Their credentials are impressive: Nerium was listed No. 1 on the 2015 Inc. 500 List of fastest-growing private US companies in consumer products and named by the Direct Selling Association to the 2017 DSA Top 20. The company has been featured in Shape, Cosmopolitan, Essence, BeautyInc, Bazaar, and allure. But tread carefully here. Nerium has a history of using manipulative and/or dishonest tactics and poaching of top distributors from other MLMs to generate a better recruiting environment (see lawsuits, below). 8. How many Nerium distributors are there? 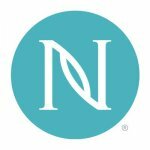 Nerium hasn’t published any numbers regarding their Brand Partners. So should you get involved with this hot company? Either way, here’s the full review on Nerium. The people at Nerium focus on reversing the signs of aging in both women and men alike. Their products are unique because, not only do they concentrate on skincare, they also offer supplements to help the mind stay youthful (like Seacret Direct or Rodan + Fields). All of their products are plant-based and provide crucial antioxidants that boost cell renewal and skin hydration. The People at Nerium want you to be in business for yourself, but they stress that you will not be working by yourself. They have a strong and supportive training program to help you realize your goals. They have a relatively inexpensive start-up cost — if you choose the Startup Kit with no products. Add the products, and it gets pricey. There is no glass ceiling to worry about. You can work from anywhere, at any time, whatever is most convenient for you. Of course, like all direct selling programs, the more people that you can get to participate, the more potential income you can earn. You can earn anywhere from $16-$60 a week as a bonus by getting people to sign up. Once you get three or more customers to sign up, you don’t have to pay out of pocket for your own inventory. By selling retail from your own personal inventory, you make a direct sales commission. This ranges from 10%-25% on all customer re-orders. All of these combine to help you live your life on your own terms, help others with their skincare needs and provide a sense of financial freedom. All from the comforts of your home. I feel that one thing that anyone interested in joining the Nerium team should take into consideration is their explosive growth in sales in such a relatively short period of time. Their products have been scientifically researched and proven in their effectiveness to fight the signs of aging. Now, these products are a little on the pricey side in my opinion, it will set you back $270 for a combination of night cream, day cream, and eye serum. Finally, obviously, they know how to make their distributors achieve success when marketing their products. The numbers don’t lie and the $403 million in worldwide sales mentioned earlier was from 2014. I’m pretty sure it has continued to climb. One big red flag is the sheer number of lawsuits Nerium has been involved in. They’ve poached top MLM distributors from other companies in order to generate excitement and growth for their own company. They’ve reneged on several contracts, most notably with their former product developer, and have had to pay huge settlements on each of them. Smaller lawsuits are listed on JuralIndex, but finding details is hard. You have to wonder if Nerium is trying to cover them up — again, to keep the excitement high and make sure people only see positive press. Keep in mind the relative inexperience of Nerium, in general. They haven’t been in business long enough to forecast their stability. Nerium seems to be a legitimate business for people to get involved in, despite the many red flags. If you have decided that you would like to try working from home an being your own boss, this might be what you’ve been looking for. They have an excellent compensation plan and have paid over $100 million in commissions already, this is awesome. If you check out their official website, you will see that is both very informative and easy to navigate through. This is a nice change up compared to many other MLM sites that are vague, confusing, and basically useless. This being said, however, don’t believe that you will get rich overnight. Like most things in life, the success you achieve is relevant to the amount of work you put into it. It all comes down to what it is you are trying to accomplish. Are you looking to retire early, or are you just trying to make a little extra cash? Nerium is a scam. Why would anyone want to be a brand partner (and need to make an initial investment of atleast 500-USD)when you can get all the product online from Walmart or Amazon? Which luxury skin care line allows its brand to be sold under the Walmart name? I also heard, getting any so-called easy refund from the company is a nightmare.